(Bloomberg) – South African President Cyril Ramaphosa boosted his control over the ruling African National Congress ahead of next year’s elections as his allies secured key party posts in the central Gauteng province and a divided leadership was elected in the eastern KwaZulu-Natal region, a stronghold of his predecessor Jacob Zuma. Premier David Makhura was elected unopposed as the ANC’s provincial chairman in Gauteng, where Ramaphosa enjoys widespread support, while provincial education minister Panyaza Lesufi was picked as his deputy, the party said in an emailed statement on Saturday. Former Johannesburg mayor Parks Tau was named provincial treasurer and Jacob Khawe secretary. In power since the end of white-majority rule in 1994, the ANC has seen its support wane over the past decade. The party won its fifth national election in 2014 with 62 percent of the vote but suffered its worst performance in the 2016 local-government vote when it lost control of major cities including the capital Pretoria, and the economic hub Johannesburg – both in Gauteng. The 106-year-old party is seeking to win back the confidence of voters next year to retain control of Gauteng and resolve divisions in KwaZulu-Natal, its biggest region. While it remains deeply divided following a bruising leadership battle in December, its task will be made easier by Ramaphosa’s appointment as president of the party and country in place of Zuma, who was forced to step down in February after an almost nine-year tenure that was marred by a succession of scandals. 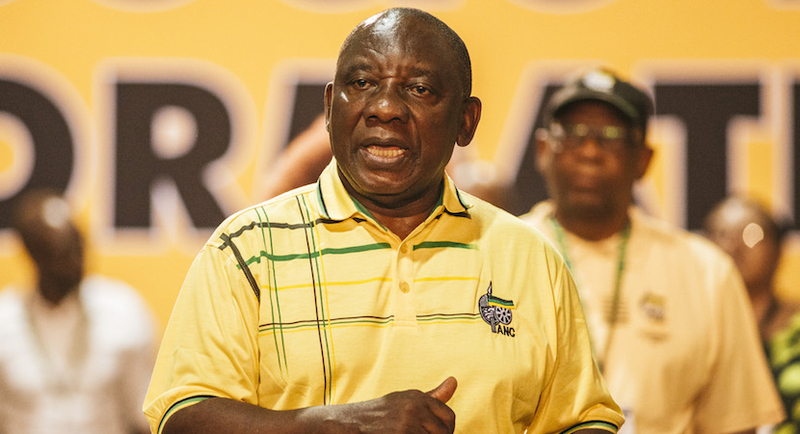 The 2019 election is going to be a hard-fought one, particularly in Gauteng, Ramaphosa told delegates at the start of provincial conference in Pretoria. “Every political party will be looking at Gauteng and how they can continue to erode our support in the province,” he said. Meanwhile in KwaZulu-Natal, Sihle Zikalala was elected unopposed as chairman, while Mike Mabuyakhulu was named as his deputy after seeing off a challenge from provincial premier Willies Mchunu. Mdumiseni Ntuli was chosen as secretary, a post previously held by Supra Zuma, a relative of the former president, while Nomusa Dube-Ncube was re-elected unopposed as treasurer. The region, which has the party’s largest membership, held its elective conference following months of delays after party members approached the courts to nullify the results from an earlier conference that saw Zuma’s allies emerge victorious. Ramaphosa was present when the KwaZulu-Natal election results were announced on Saturday and called on members not to challenge the result in court, according to the party’s Twitter feed. When speaking in Gauteng, he warned that factionalism and infighting could cost the ANC votes next year.